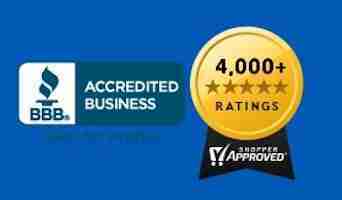 We are very pleased to have surpassed our competition and we have finally reached 4,000 ShopperApproved Reviews! This is a milestone that not only shows just how dedicated and great we are to the public but it also shows just how far we’ve come. Most importantly, this shows that we let our customers report how they feel about us and our services. Our team and our medical professionals appreciate every single review that we’ve gotten, and we worked hard for each and every one of them. We would be lying if we said it was easy, but helping people be with their ESAs motivates us to put all our effort in improving things and making people happy. We want to thank you because, without you, this milestone wouldn’t have been possible.